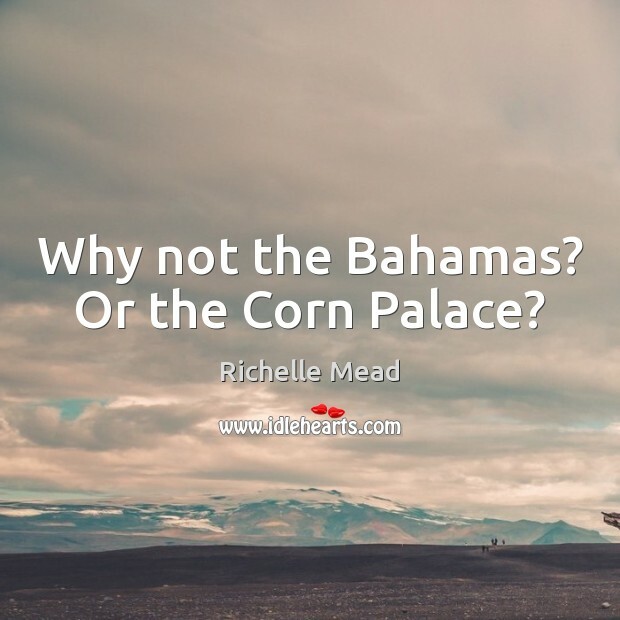 Quotations about Bahamas. Quotes to stimulate mind and drive action! Use the words and quote images to feed your brain inspiring things daily! I've got two shirts still missing from the Bahamas. 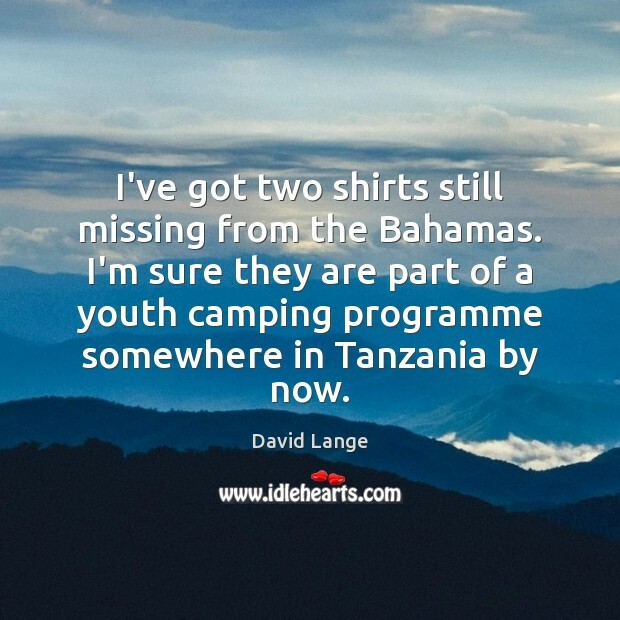 I'm sure they are part of a youth camping programme somewhere in Tanzania by now. 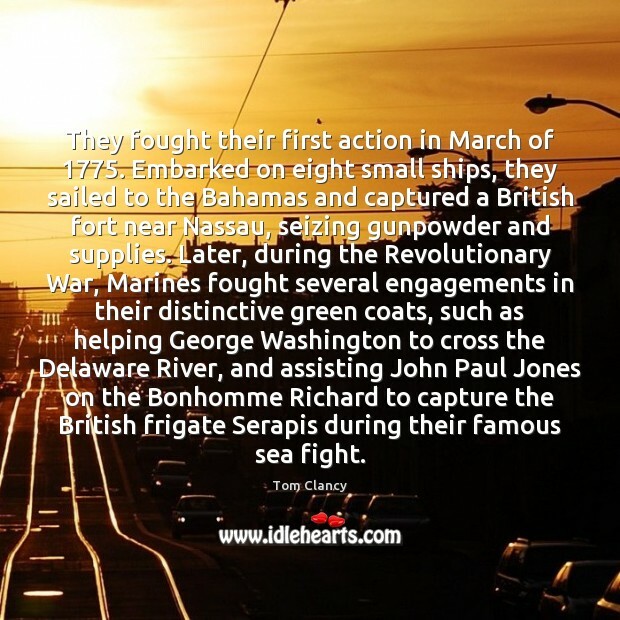 They fought their first action in March of 1775. Embarked on eight small ships, they sailed to the Bahamas and captured a British fort near Nassau, seizing gunpowder and supplies. Later, during the Revolutionary War, Marines fought several engagements in their distinctive green coats, such as helping George Washington to cross the Delaware River, and assisting John Paul Jones on the Bonhomme Richard to capture the British frigate Serapis during their famous sea fight. My mother's side of the family is from the Bahamas, and I spent time there on and off when I was growing up. It's the place where I feel at peace. 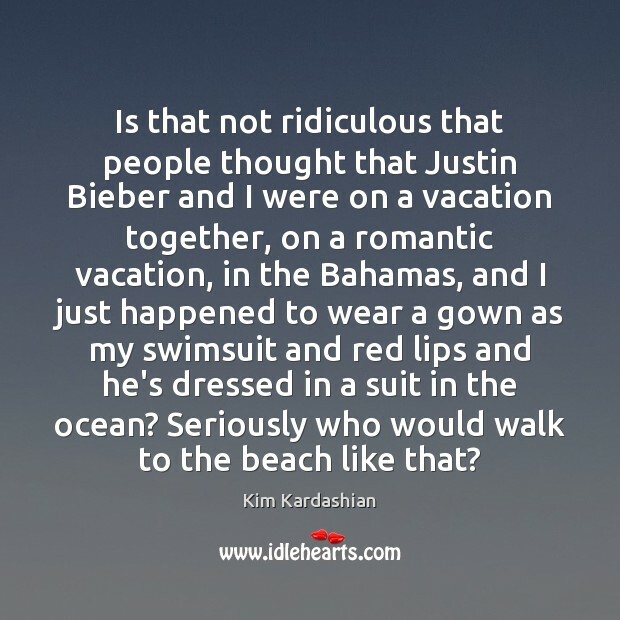 Is that not ridiculous that people thought that Justin Bieber and I were on a vacation together, on a romantic vacation, in the Bahamas, and I just happened to wear a gown as my swimsuit and red lips and he's dressed in a suit in the ocean? 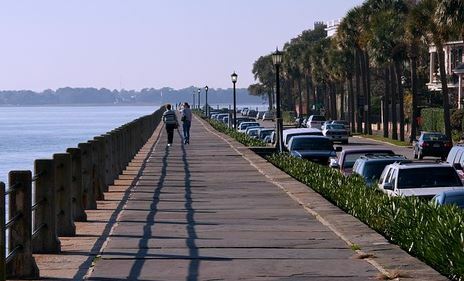 Seriously who would walk to the beach like that? 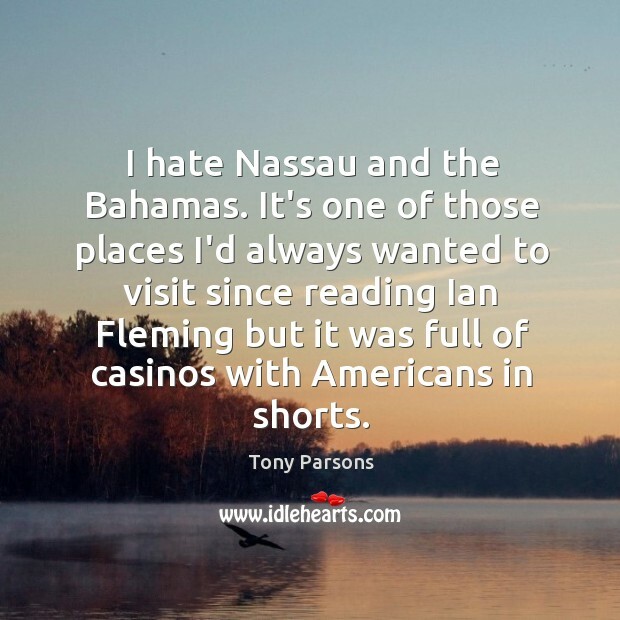 I love the Bahamas, and I used to go there all the time with my friend who passed away, Henry. 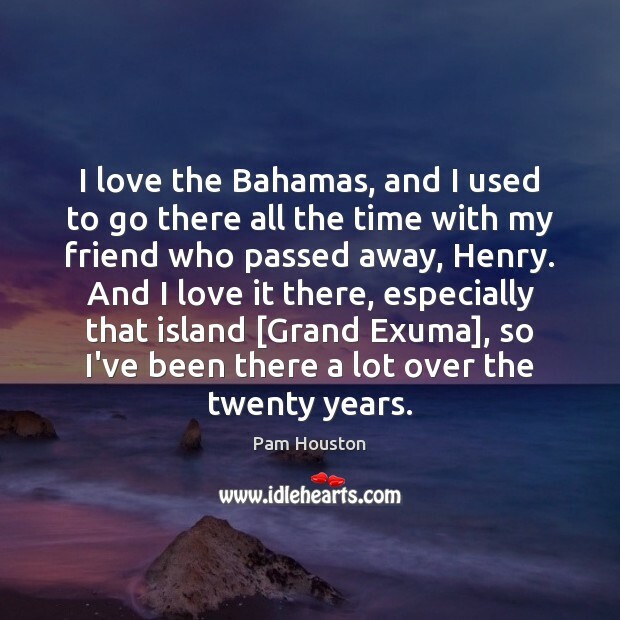 And I love it there, especially that island [Grand Exuma], so I've been there a lot over the twenty years. A federal grand jury is investigating allegations that David Copperfield raped, assaulted and threatened a woman he took to his private island in the Bahamas in July. What happened to the good old days when a guy would just saw you in half? 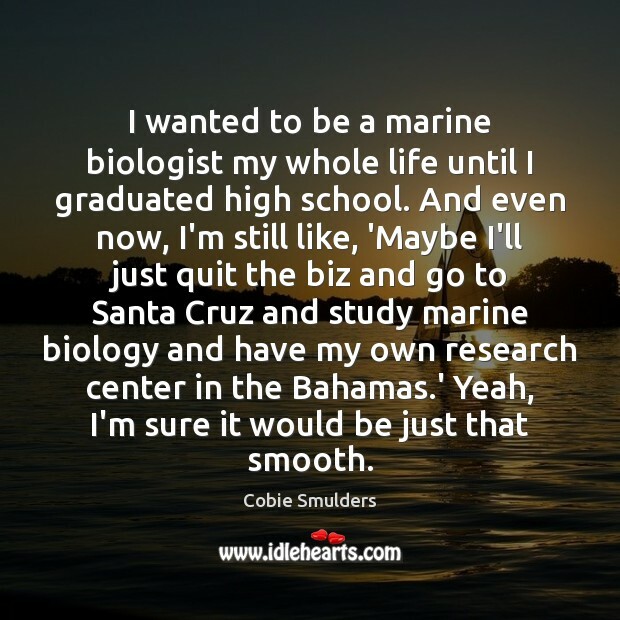 I wanted to be a marine biologist my whole life until I graduated high school. And even now, I'm still like, 'Maybe I'll just quit the biz and go to Santa Cruz and study marine biology and have my own research center in the Bahamas.' Yeah, I'm sure it would be just that smooth. 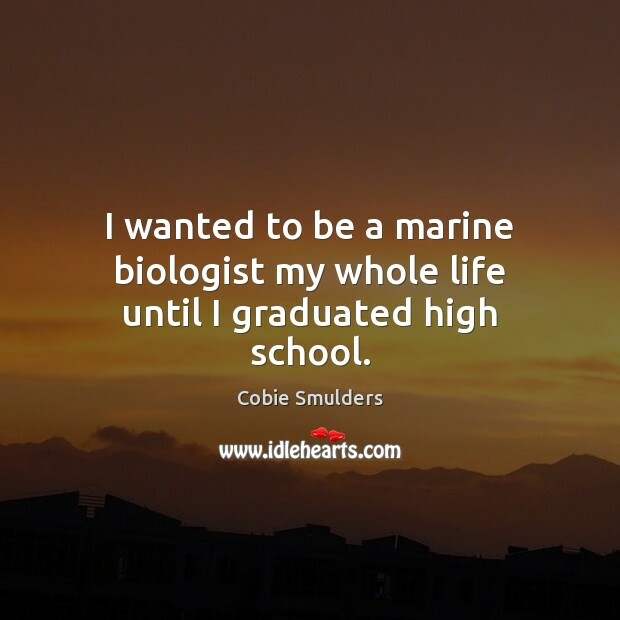 I wanted to be a marine biologist my whole life until I graduated high school. For nine miles along a submerged ridge, the corals rise in lumpy hillocks that spread out 100 yards or more, resembling heaped scoops of rainbow sherbet and Neapolitan ice cream. The mounds, some 100 feet tall, sprout delicate treelike gorgonians that sift currents for a plankton meal. Fish, worms and other creatures dart or crawl in every crevice. This description could apply to thousands of coral reefs in shallow, sun-streaked tropical waters from Australia to the Bahamas. 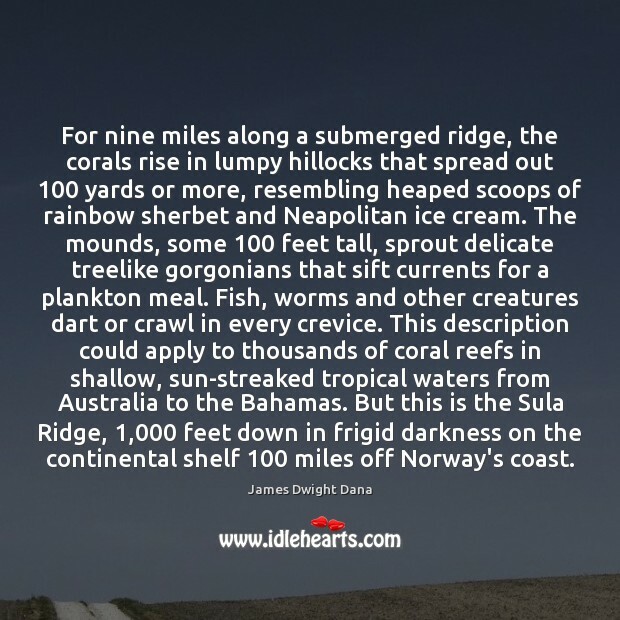 But this is the Sula Ridge, 1,000 feet down in frigid darkness on the continental shelf 100 miles off Norway's coast. 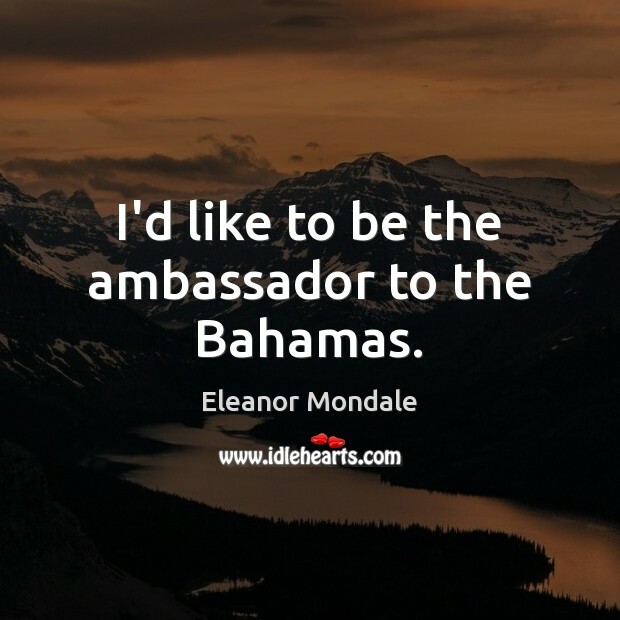 I'd like to be the ambassador to the Bahamas. I don't want to go to the Bahamas on holiday. I hate islands. I want to go to Brittany, where it's cold and raining, and there's nothing fancy about it. Why not the Bahamas? Or the Corn Palace? I hate Nassau and the Bahamas. It's one of those places I'd always wanted to visit since reading Ian Fleming but it was full of casinos with Americans in shorts. It was on this day that the Bahamas declared independence. Before that they were a British colony. The British Empire lost Canada and the Bahamas, to name just a couple. 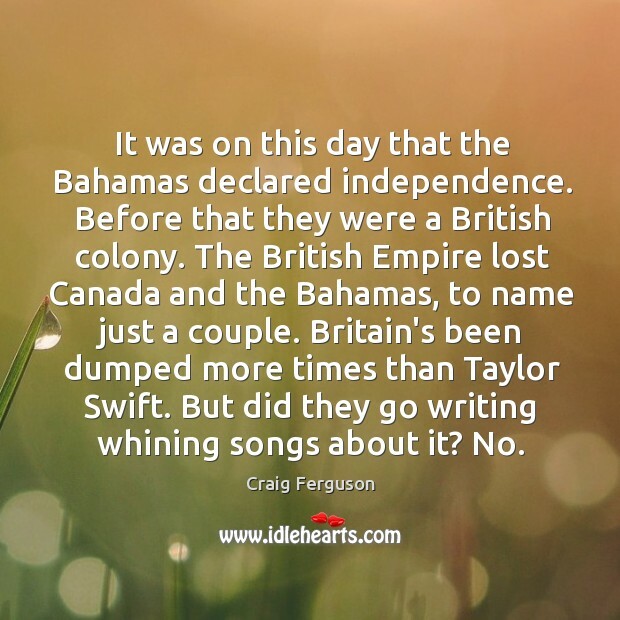 Britain's been dumped more times than Taylor Swift. But did they go writing whining songs about it? No. 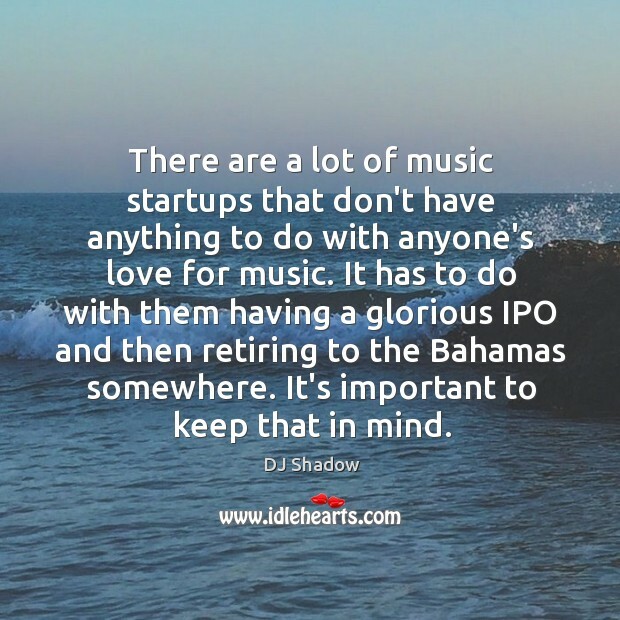 There are a lot of music startups that don't have anything to do with anyone's love for music. It has to do with them having a glorious IPO and then retiring to the Bahamas somewhere. It's important to keep that in mind. We're actually trying to develop an iPhone app, now that the Droid is out, we'll do it for that as well, if we ever learn how to program on this thing. But the idea is that to make money concrete. 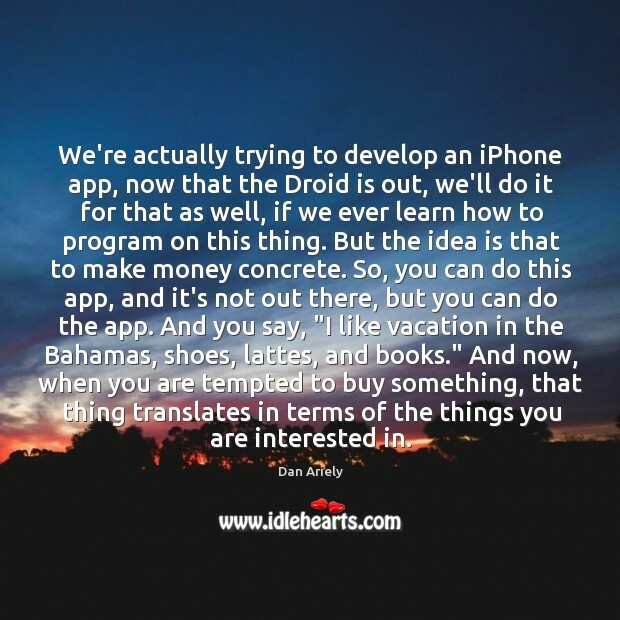 So, you can do this app, and it's not out there, but you can do the app. And you say, "I like vacation in the Bahamas, shoes, lattes, and books." And now, when you are tempted to buy something, that thing translates in terms of the things you are interested in.